Instagram Updates Multi-Image Post Functionality: Instagram now offers support for landscape and portrait photos in its multi-photo post option. Formats, however, cannot be mixed within the multi-photo function. 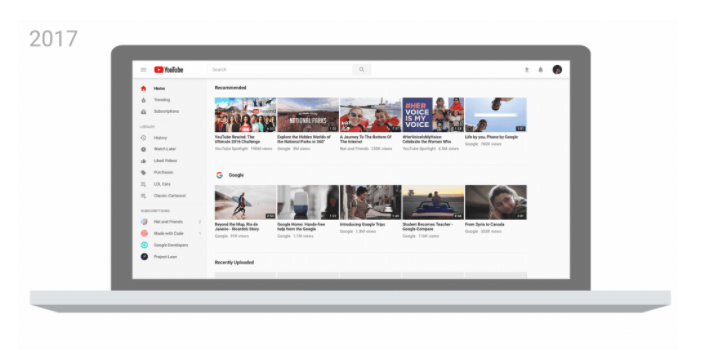 YouTube to Modify Mobile and Desktop Viewing: YouTube is adding and modifying features for a consistent look and experience across its desktop and mobile platforms. On mobile, video will be more prominent and new tabs will make videos easier to access. Both mobile and desktop platforms will provide more control to the viewing experience. Facebook Blocks Ads from Pages that Repeatedly Share False News: Facebook continues to fight false news by blocking repeat offenders from sharing their misinformation using the social network’s ad platform. The move comes after much criticism that has Facebook supported the spreading of misinformation, particularly throughout the last US election cycle. Tumblr Adds New Posting Features to App: Tumblr recently added three new posting features to its mobile app. The first addition allows users to add images to reblogs. The second new feature adds a limited number of formatting options to text posts. And the third new feature makes it possible for users to reorder text and images by simply dragging.